(Crock Pot) Slow Cooker Cranberry Apple Cider -- Easy Recipe! I kind of refuse to believe that Christmas is THIS CLOSE. Ya know?? Are you the kind of person who is way ahead of schedule and already done Christmas shopping? Or are you not even started? I like to think I’m somewhere in between. I like to be that person who is way ahead of schedule, but the last few years? It just hasn’t happened. I almost think it’s because we’re all getting older, and so most of our siblings and our parents are just getting harder to shop for. We just accumulate more and more things, and really? There isn’t usually anything we actually need. So I guess I put it off later…. and later…. and then I end up scrambling in the holiday madness for my last few gifts at the last minute. Cider has never really been something my family has at our holiday gatherings. I’m not sure why, really, it was just never one of our traditions. But I love food, and I love experimenting with different flavors, and I’m all about adding trying new recipes and making new traditions. So here we are. I’ve had traditional apple cider, and it’s pretty delicious. But I have to say, I enjoy this Cranberry Apple Cider a whole lot more. I don’t know why, I just love cranberry anything lately. 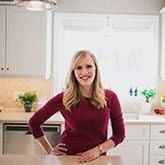 I also love that you can keep it hot all day in the slow cooker, which is great for parties, and you can control the added sugar by making it yourself! I used all pure, unsweetened juices, with just a bit of sugar for this recipe (feel free to use sugar or your favorite natural sweetener as desired), to keep the sugar as low as possible. I love that this is a warm, holiday drink that the little ones can enjoy, too! Often when my husband and I make coffee, our 3 year old wishes she could have something of her own to sip on. 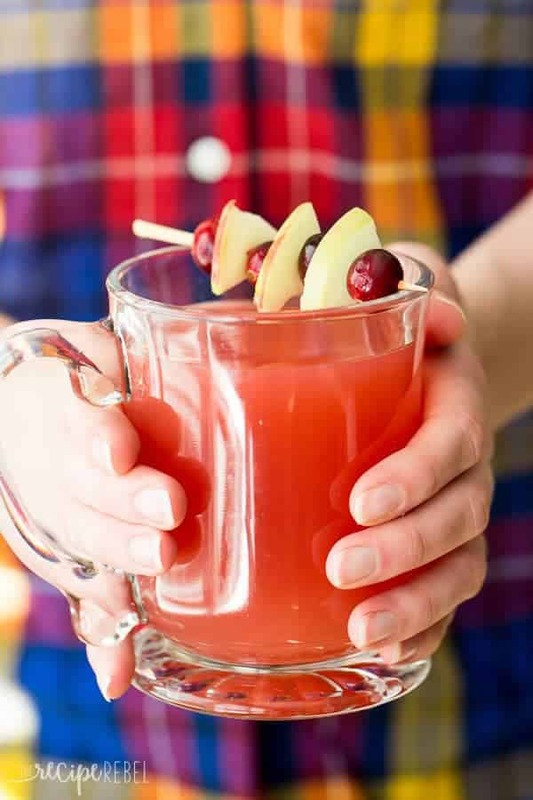 This cider is the perfect drink for the whole family and perfect for those large gatherings! 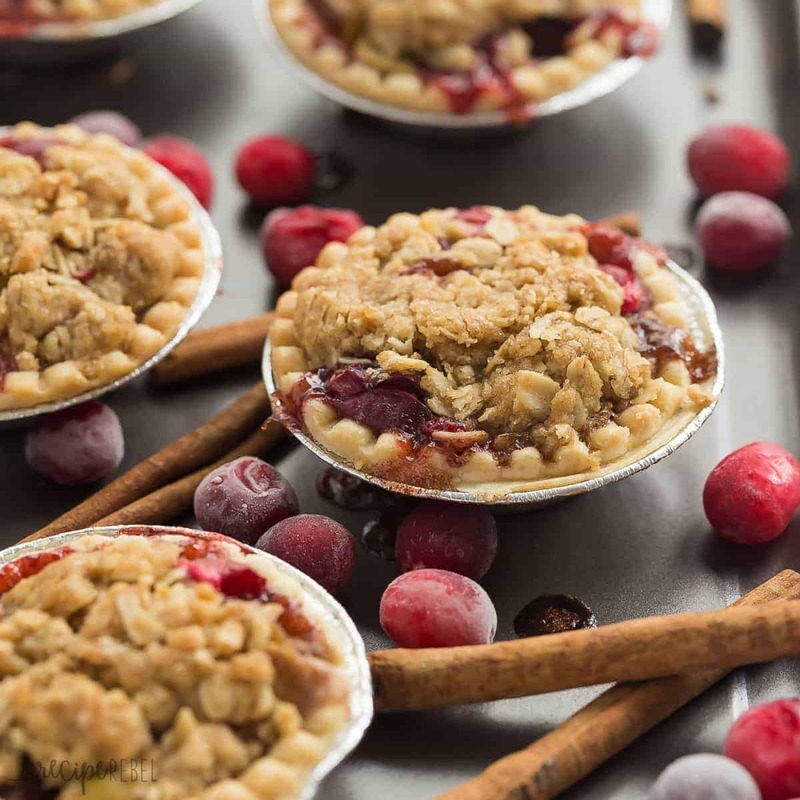 You might also like these Cider Spice Cranberry Apple Pies! I was going to add whole cloves and allspice, but I couldn't find any! I would never add ground spices to a cold drink, but the ground spices dissolve completely as the cider is heated so it works just as well. If you can find ground cloves and allspice and want to go that route, it would also be amazing! Or these No Bake Christmas Tree Cookies! Can I use fresh squeezed apple and orange juice? I made this for my niece’s bridal shower and it was a huge hit! It went so fast, it was gone before I was able to have a cup! Now it is requested for all our Fall get togethers. I love that it went over so well! Thanks for leaving a comment! Looks tasty, I am going to try the recipe tomorrow, not sure I’ll be able to create something like in the picture. This looks wonderful, can’t wait to try it for my book club. As I have both how much allspice and star anise should I add? I would just add a pinch and adjust as needed. It’s always easier to add than take away! 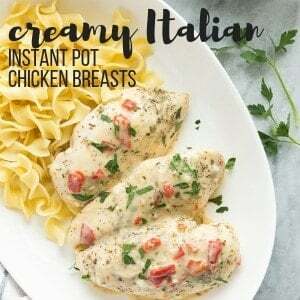 Ashley, I really like how simple this recipe is! And the result is outstanding! I also like the video recipe – quick and easy! Hello! I am not able to find the unsweetened apple and unsweetened orange juices in my town. Is it possible to make this using regular juices? Oh, definitely! You’ll just want to reduce or eliminate any other sweetener. It loiks delicious! I wish to make it as a gift.. Can I put tne cider in glass bottle? How can I keep it and how many time? You can definitely store it in a glass bottle. I likely wouldn’t keep it too long, maybe a week or two just to be safe. It was delicious! I didn’t have enough apple juice, so I increased the oj and cranberry juice. I didn’t care for it that way. So when I reheated the leftovers, I made an apple cider from a packet then mixed it with your recipe. Much better! So I would definitely do it your way in the future! I’m glad to hear it turned out well! I JUST found your recipe…I want to make this for company Sunday! What DID you use for the star cut-out round slices ? Apple slices,rounds? without coring? with tiny cookie cutter stars cut out? I love the visual of your cranberry apple cider! In the picture you have sliced apples, and cranberries along with with the cinnamon sticks, is it nessacary to add the apples and cranberries or is that just for looks? Thanks Robyn! I’m glad you like it! Does anyone have an idea of how much spiced rum I should add to this? One shot per mug is perfect. I am finding that a lot of cranberry juices while being 100% juice are actually a blend of a few different juices. Is a blend okay to use for this recipe or do you recommend a 100% all cranberry juice? Trader Joe’s has a great 100% cranberry juice. No added sugar. Hi! If I want to add the slice of oranges, apples and the cranberries, those alterate the flavor or it doesn’t matter? I would like to add them, because I like more how you presented the recipe in the picture. Looks spectacular! Thanks Ayleen! It doesn’t really alter the flavor because I used all of the same flavors that are already in the cider to garnish it. When should you add the garnish? While cooking or just prior to serving? Thanks in advance! Is this supposed to have allspice in it? I see it mentioned in the note, but not in the ingredients list. Assembled this tonight to heat up in the morning for tomorrow’s Thanksgiving dinner! I think you could add it if you wanted! I didn’t have any, so I didn’t, but I thought it would be a nice addition. This sounds lovely and I plan on making it for thanksgiving. I couldn’t seem to find sugar free juices tho. So I hope using regular juice will be fine and just omit the sugar. Yes, I think it will work just fine! Has anyone tried cooling it and serving it over ice? I’m looking for a chilled drink but this sound delicious. I think it would be great chilled! I tried making this, and the cider looked brown and nothing like the picture? Why is that? I’m not sure how that would happen. I guess that different brands of juices could have different tints, but normally the red of the cranberry takes over and makes it quite pink. What brands of juice did you use for the recipe? I don’t think brands matter to much as long as you’re looking for a pure unsweetened juice. Pick a brand you trust! Any reason you can’t use apple cider instead of juice? You definitely can! I would just reduce the spices. Yum! I plan on making this for my daughters first birthday party at the end of October! I’m making for about 25 people so I’m guessing I need to triple the recipe. Do you think it will all fit in one crockpot? I have a 6 quart. Thanks!! Sorry — the serving size is off! It will actually make 10 cups (though maybe only 6 mugs). A double recipe should fit in a 6 quart slow cooker, but I don’t think any more than that. It makes roughly 2.5 quarts of cider. I hope this helps! Do you think this could be made and bottled to give as a Christmas gift? Sorry, I’m not sure how that would work! I would think it could be canned if done properly, like apple juice, but I don’t have any experience doing that. Made it just as your recipe says and it was absolutely fantastic! I am making a large batch for an autumn church event and will also be making it for my friend’s Fall bridal shower. Thanks for sharing! For an adult party which choice of alcohol would be best? Maybe a wine? I don’t drink much alcohol so I can’t really say. Wine might work! I made it and added Jack Danials, “Winder Jack”. Super yum! Try a vanilla vodka, vanilla vodka doesn’t give off much sweetness & will make it a smooth transition from the apple to cranberry flavors pretty perfectly! This looks absolutely perfect for fall! The cranberries, apple and orange slices in the picture make the cider look very nice. But, I don’t see those in the recipe. Did you just add those for the picture or would you add those normally? If not just for the picture, are they added right before serving or earlier? I have a couple of questions. Can I use regular sugar instead? If so, would it be the same amount? Also, is this more tart or more on the sweet side? Thanks. Yes, you can use regular sugar and use the same amount! Feel free to taste and adjust at the end if need be. Hope that helps! Oh yum this sounds fantastic! I love apple cider! I bet its even better with cranberries! How GORGEOUS is this cider? I am obsessed with these pictures! So pretty. And I bet your house smells amazing as this is warming in the slow cooker. Thanks Kathleen! I hope you like it! This would be so perfect for Thanksgiving. 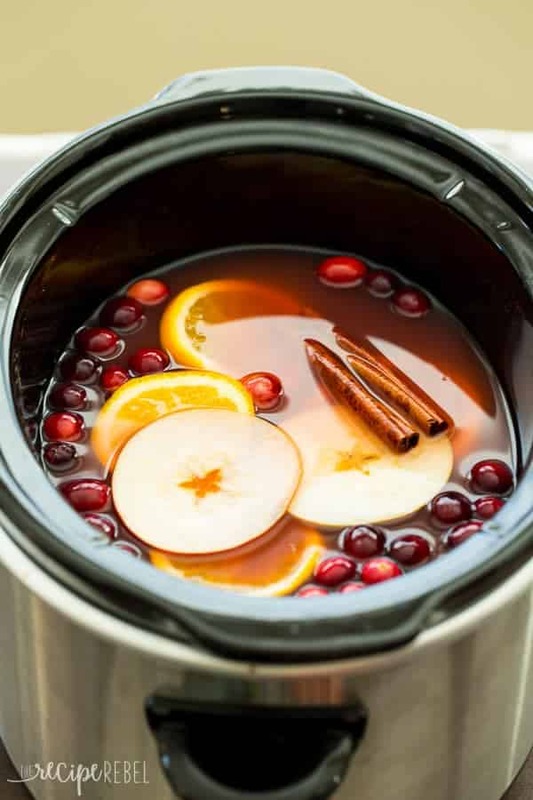 Apple cider is my favorite and I love that it is made in the slow cooker. Thanks Jen! 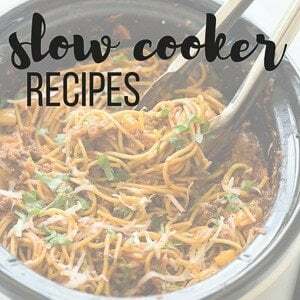 Slow cooker anything is my favorite! This cider is everything I want from fall! I can only imagine how ridiculously delicious your house smells while making this! We always make apple cider for holiday breakfasts, for some reason, and I love that this one has cranberry too. That’s such a lovely idea! And anytime I can make something in a slow cooker, I’m a happy gal! Yes! Cranberry is pretty much my favorite thing right now — I feel the need to put it in pretty much everything! Thanks Dorothy! It absolutely did smell wonderful! 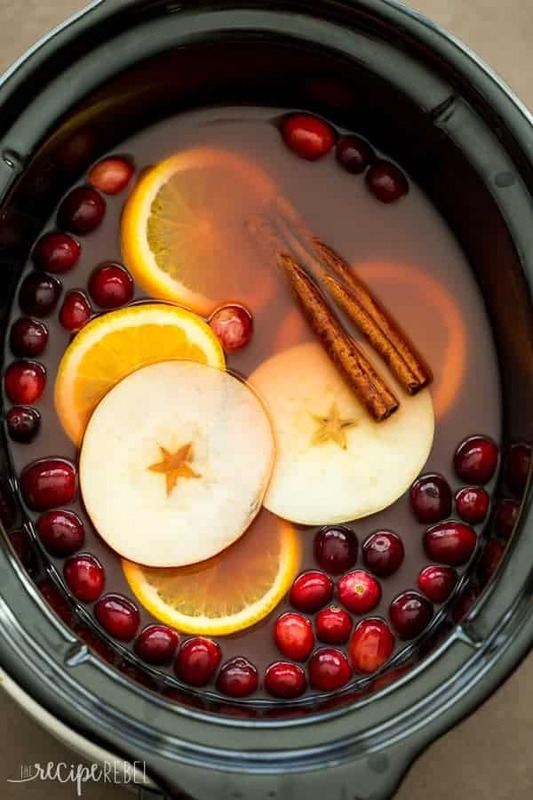 My family always has hot spiced apple cider at Thanksgiving while we’re waiting for the turkey to bake and I’m seriously considering making this cranberry version instead! It looks absolutely perfect, Ashley! Crockpot FTW too! Yes! Crock pot all day every day! Ashley, I can leave a comment! hooray! 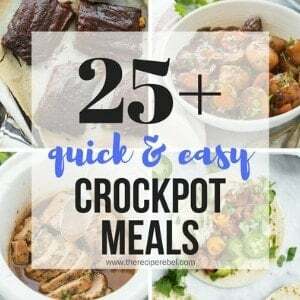 I am seriously loving all these slow cooker recipes I am seeing for Thanksgiving! now, I just need like 3 more slow cookers! 😛 I love this cranberry apple cider! beautiful!!!! and festive! love this! Yay! Thanks Alice! I have 2 slow cooker and it never seems like enough. Lol. I love having a few different sizes for different things! I love making cider in the slow cooker! This cranberry version looks delicious. So perfect for the cold and rainy weather that we’ve had! Thanks Gayle! The weather is slowly getting colder here too… a wee bit of snow and frost every morning. Definitely cider weather!